The Rappahannock Tribe announces that they are taking a “hiatus” from their normally scheduled annual Pow Wow this year. We are concentrating this year on working with our youth, preparing them to transition into their future responsibilities. 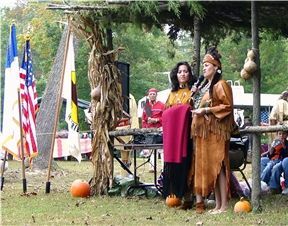 We would like to thank those of you who have supported our Pow Wow for the past 13 years, and we look forward to being with you again next year at our regular scheduled time, on October 12th, 2013. Enjoy our new website look and like our Facebook Page .